Your cute and girly suitcase will be the first you (and everybody else) will see! Another reason to have cute luggage is that traveling is supposed to be fun!! There is nothing better than packing a brand-new colorful suitcase! It’s exciting and it totally adds to your traveling experience! Some of you might not believe in this, but colors bring more happiness to people! Colors have good energy and if you bring more colors into your world your life will be more fun too! *By the way I almost fainted when I saw these!! Have you ever seen anything more girly, gorgeous, colorful and totally unique?? Anyways, as you can tell, I am all for cute suitcases!! Here you will find my favorites for girly women all over the world! 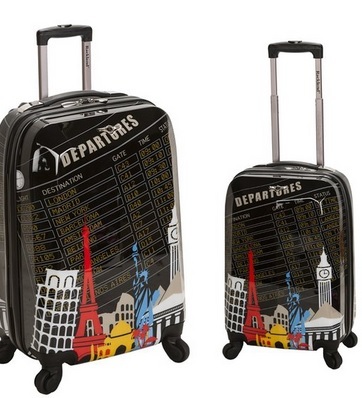 Look at these unique travel theme 2-piece cute suitcases for sale! How cool and fun are they??? Perfect suitcases for the girly woman travelling alone. A happy buyer said they are super pretty and strong! The Most Beautiful Floral Suitcases for Sale! Gorgeous 4 Piece Hardside Spinner Set Luggage with Flowers! Girly women love floral stuff! When we think about cute suitcases we think ‘flowers’! 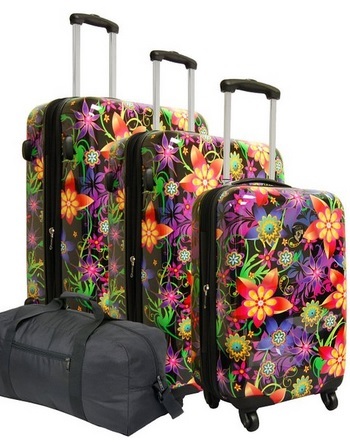 This floral luggage set is just perfect! The colors and flower prints are very vibrant! Very Cute Heart Suitcases for Sale! If you are a girly woman you also love hearts! These cute heart suitcases will be perfect for you! They are very romantic too! Makes a wonderful gift for girlfriends, daughters and teenagers! Happy buyers say they love how easy it is for them to recognize them at the baggage carousel! They are also very affordable! The Most Beautiful Butterfly Suitcases! 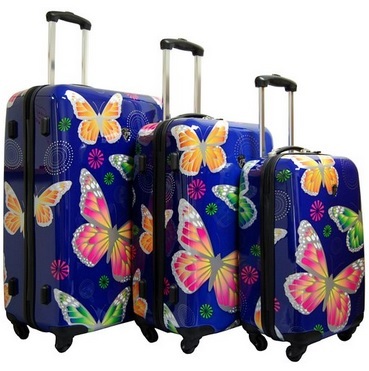 Stunning 3-piece Butterfly Luggage Set! 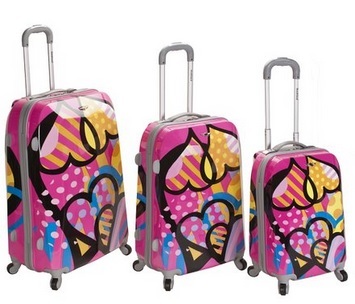 What a cute and girly butterfly luggage set! Perfect for a mom travelling with her two girls or a girly woman! Girly ladies love butterfly stuff and it’s no different when it comes to their luggage! We love cute luggage and we love butterfly luggage too! Makes a great gift idea for teenagers too! 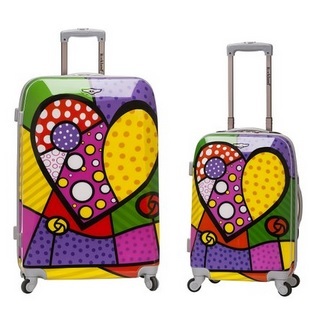 This is a gorgeous and extremely affordable love luggage set for girly women! We also love pink luggage, so this cute luggage set is just perfect! These pink and full of hearts cute suitcases are also perfect for teenage girls! They love how easy it is to identify them at the carousel and they also love to see people’s reactions when they see them! You can see people admiring them from a distance and wishing they also had some like these! They are also very lightweight to carry, but also very sturdy! Hello Disney, here I come!! 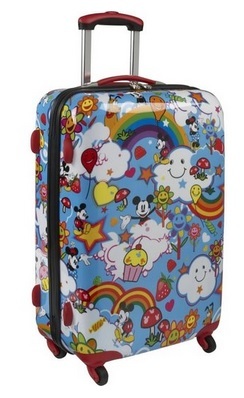 Have you ever seen a cuter and more fun Disney suitcase before? It is the happiest and cutest ever created! It will put a smile on everyone’s faces, everywhere you go!! If it doesn’t spell ‘I LOVE Disney’ nothing else will! Pink luggage is the girliest and cutest kind of luggage sets for girly women! 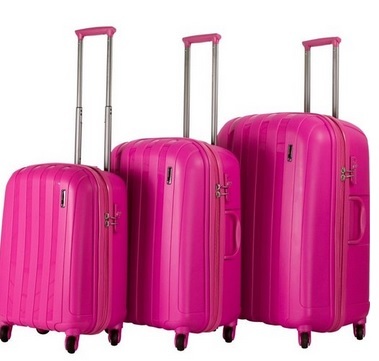 This gorgeous hot pink luggage set is amazing! Very easy to spot at the baggage carousel too! 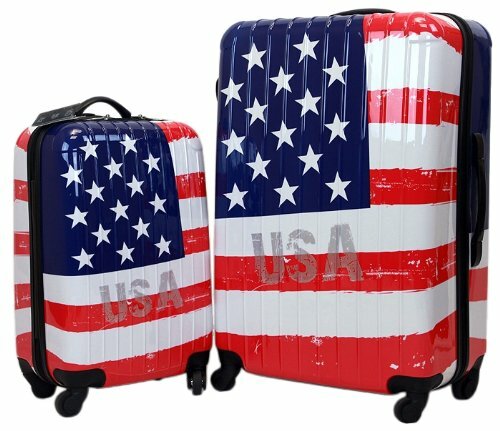 Gorgeous luggage with the American flag! I had to show you these!! Can’t think of a more ‘patriotic’ way to travel!! Perfect for a 4th of July trip! 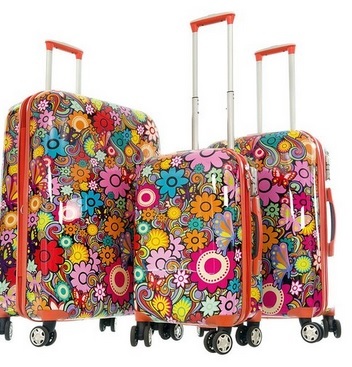 Colorful luggage sets are the easiest to spot while waiting for your baggage to show up! Not only you, but everybody else will see your beautiful and super fun luggage set making its way to you on the baggage wheel! Can you imagine people’s reactions wen they see your super colorful, fun, unique and very cute tropical suitcases? 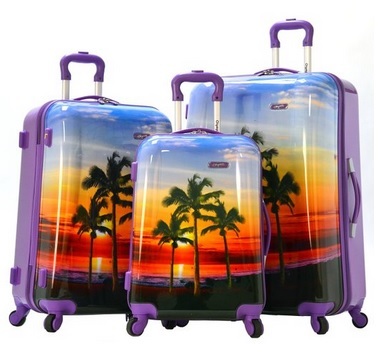 Now it’s time for this ultra-cool and ultra-fun Palm Beach themed luggage set! It is definitely the most fun and unique luggage set I have ever seen! Perfect for a trip to the Caribbean! 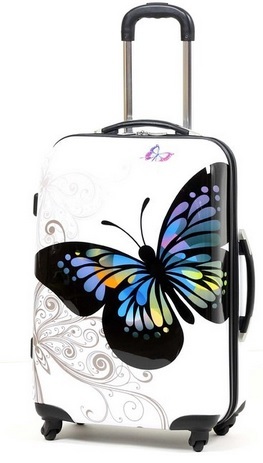 Gorgeous Butterfly Print Suitcase for Sale! I am speechless right now! How cool and unique is this white suitcase with a gorgeous blue butterfly print? I guarantee you that no one else will have another one at the airport! *I hope you enjoyed my selections of cute suitcases on this page! How about checking out some very cute and girly backpacks now?